What Board Do I Have? Want to learn about the programming in Arduino but don't know where to start? Start with the Experimenters Guide for Metro! 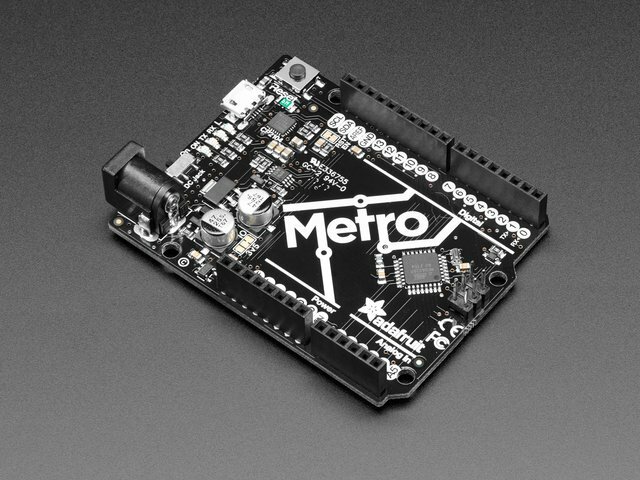 The Experimenters Guide for the Adafruit Metro and Metro Express is meant to serve as a quick-start for makers, artists, hackers, students, educators, or anyone who wants to get started with the Metro or Metro M0 Express. 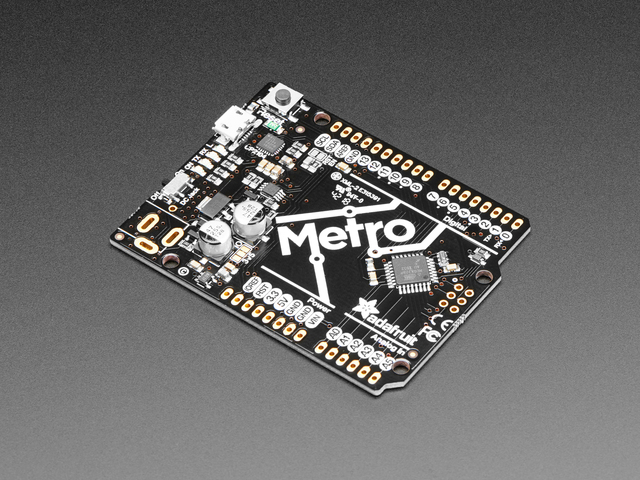 This guide has lots of circuits to get you comfortable with skills like learning about different types of electronic components (and how they work), programming an Adafruit Metro or Metro Express, breadboarding, and modifying code. Already have parts and a board that can be programmed by the Arduino IDE? This guide will work for you too! 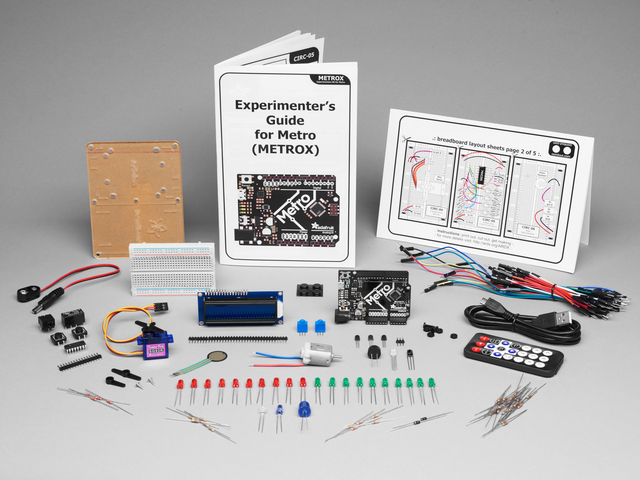 The experimenters guide is an expanded version of Oomlout's awesome ARDX kit, but it's compatible the Adafruit Metro Classic and Metro M0 Express. There are a lot of new circuits to take advantage of the Metro Classic and/or Express, and a bunch of small projects to do on your own. You can build all of the circuits with parts from the Adafruit Shop. We even provide links to the parts for each circuit in the parts page. This guide was first published on Aug 18, 2017. It was last updated on Aug 18, 2017. This page (Intro ) was last updated on Apr 25, 2019.